Security Management—the award-winning publication of ASIS International—is written primarily for security professionals. It also makes vital security information understandable to a general business audience, helping ASIS International advance security worldwide. Readers receive timely information on emerging security threats and practical solutions, which they can use to protect people, property, and information. Join security experts, government officials, and industry thought leaders to learn about the best tools available for defending against our shared cyber threats. You’ll walk away with actionable strategies to improve your organization’s security posture. 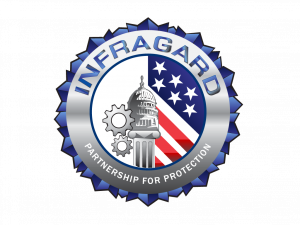 InfraGard protects United States critical infrastructure and the American people by cultivating communications, collaboration, and engagement between the public and private sectors; the alliance unites the knowledge base, work, and resources of these stakeholders to mitigate threats to national security, improve resilience, and strengthen the foundation of American life. The Association for Unmanned Vehicle Systems International (AUVSI) is the world's largest nonprofit organization dedicated to the advancement of unmanned systems and robotics. Serving more than 7,500 members from government organizations, industry and academia, AUVSI is committed to fostering, developing, and promoting unmanned systems and robotics technologies. Visit www.auvsi.org for more information. AUVSI’s flagship event XPONENTIAL is the largest trade show for unmanned systems, drones, and robotics worldwide. The next event will next be held April 29 to May 2 in Chicago. Learn more at www.xponential.org. With over 8,000 members in more than 100 countries, our network of business continuity and resilience professionals help to keep the world’s organizations on track, no matter what happens. We set the guidelines. We train professionals. We gather the research, and we spread the knowledge. Together, we work to create a more resilient future. 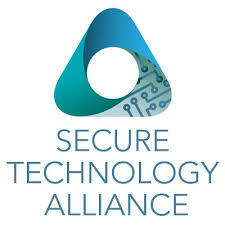 The Document Security Alliance (DSA) is a thought-leading organization at the forefront of the document security discussion. DSA’s objectives are continually aimed at improving security documents and security related procedures. Our members stand ready to deliver their expertise to governments seeking to address the growing counterfeiting problems that affect our society. The IAFCI, a non-profit international organization, will provide services and an environment within which information about Financial fraud, fraud investigation and fraud prevention methods can be collected, exchanged and taught for the common good of The financial payment industry and our global society. 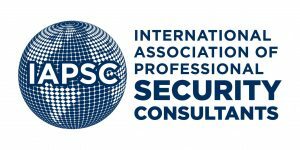 The International Association of Professional Security Consultants, Inc. is the most widely respected and recognized security consultant association in the industry. Its rigid membership requirements allow potential clients to select from a unique group of professional, ethical and competent security consultants. IAPSC members are not affiliated with any product or service they may recommend. The International Association of Venue Managers is the world's largest professional association dedicated to issues relevant to the management of public assembly venues. Members of the association manage public assembly venues such as amphitheaters, arenas, auditoriums, convention centers/exhibit halls, performing arts venues, stadiums and university complexes; or provide products, services or attractions to support the industry. IAVM has more than 3,800 members worldwide. Founded in 1980, IFMA is the world's largest and most widely recognized international association for facility management professionals, supporting 24,000 members in more than 100 countries. This diverse membership participates in focused component groups equipped to address their unique situations by region (13​​6 chapters), industry (1​6 councils) and areas of interest (six communities). Together they manage more than 78 billion square feet of property and annually purchase more than US$526 billion in products and services. The International Foundation for Protection Officers (IFPO) is a Not-for-Profit organization with Headquarters in Naples, Florida, United States. The organization was established in January 1988 to address the educational/training and certification needs of security/protection officers and their supervisors/managers internationally. The IFPO consists of an International Board of Directors as well as an International Advisory Board. All the IFPO program development is conducted by a selection of the most significant Subject Matter Experts (SME) Internationally. The IFPO offers several online, distant delivery and classroom programs that can result in certification. The online platform includes a learning management component to track students and/or employees progress. 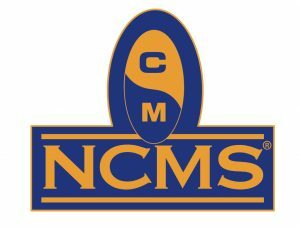 NCMS is a non-profit, professional security society offering unparalleled opportunities for learning, networking, and professional development at the local and national levels. For over 50 years, NCMS has provided building blocks in the development of security professionals through in-depth training, mentoring, and certification; as well as offering industry a voice at the national security policy level. In fact, no other professional association matches NCMS’ specific offerings or the return on investment for member benefits in the national security arena. PSA’s mission is to empower its owners to become the most successful systems integrators in the markets they serve. PSA brings this mission to life by partnering with industry leading product and solution providers, delivering unparalleled education and training programs and by offering a variety of distinctive services that can enhance any company’s operations. The World Association of Detectives, Inc is a Global Alliance of Investigators and Security Professionals. With origins dating back to 1921, W.A.D. is the longest established and largest association of its kind in the world. Building Services Management provides essential information to today’s facility maintenance and building services professional. With a whole-building approach, we offer techniques and technologies to increase productivity and efficiency while emphasizing environmental sustainability. Via our print and digital presence we seek to meet the information needs of decision makers and purchasers, while offering manufacturers a unique audience for their products and services. Campus Safety is the only publication that reaches public safety and security decision makers in hospitals, K-12 schools, and universities. Campus Safety's editorial coverage is a "must read" for the hospital, school and university leaders responsible for addressing safety issues and making higher-level security decisions. 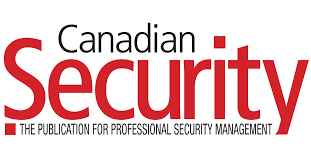 For more than 35 years, Canadian Security has been the voice of the security industry in Canada. It is the leading publication in Canada for security directors, life safety managers, property managers, cyber-security managers and loss prevention professionals as well as the integrators and service providers who work with them. Published six times a year, Canadian Security has a print circulation of 13,000. Campus Security & Life Safety magazine and campuslifesecurity.com are leading industry media brands that bring important industry information to the largest audience of school, college, security, and healthcare professionals in the market. A quarterly webinar series informs campus security professionals on the latest topics of concern in the campus environment. Campus Security & Life Safety is part of the Infrastructure Solutions Group of 1105 Media. College Planning & Management is a solution-oriented magazine for professionals serving the 2-year and 4-year college/university market. Editorials feature practitioner-based articles, topical supplements and special reports that focus on Facilities, Safety & Security, Technology, Business and Finance and the Campus Scene. Established in 1998 and published 11 times a year, each issue reaches the architectural community as well as professionals at the executive, purchasing and specifying levels at colleges and universities nationwide. Commercial Construction & Renovation’ is a bi-monthly publication that covers design, construction and facilities operations of the major commercial construction segments, including retail, hospitality, restaurant, education, healthcare, mutli-family and more. The publication serves the information needs of high-level commercial design, construction& facilities executives, focusing on areas such as the collaborative management process needed to produce timely projects that meet budget. The content also focuses on how to manage these facilities efficiently. Facility Executive is your one stop source for information on quality operation, design, and maintenance of facilities. Facility Executive offers a shared community of facility management experts who explore and analyze issues that affect your facility and its environment. Facility Executive is a specialized trade publication written and edited for corporate facility executives in all industry and service sectors whose responsibilities include purchasing, planning and approving products, services and materials for facility operations. Since 1994 NZ Security Magazine (NZSM) has been delivering news and insightful features covering every aspect of the security industry with comprehensive articles featuring current trends, legislation, industry news and views, which also includes new products and services. The magazine provides its business partners with a cost effective means to market themselves to potential clients and fellow industry professionals. The magazine is read by those operating in the security industry as well as the 18,000 companies and government departments that receive complimentary copies of NZSM in print each year - and those that download over 10,000 digital copies annually.. Since 2003, we have reached more than 41,500 active safety professionals and plant managers every month. Facility Safety Management is the DEFINITIVE SOURCE for reliable, up-to-date information designed to help guarantee proper training, safe maintenance practices and compliance with occupational safety and health laws. Our commitment to the safety industry is why FSM reaches decision makers with buying responsibility for personal protection equipment, safety training, industrial hygiene, fire safety, environmental compliance, and more. It is through this “commitment to excellence” that we have created the perfect platform for advertisers to market their products and services. Along with our print circulation our digital circulation reaches up to 11,500 opt in subscribers. School Planning & Management is a solution-oriented magazine for professionals serving the pk-12 education market. Editorials feature practitioner-based articles, topical supplements and special reports that focus on Facilities, Safety & Security, Technology, Business and Finance and the Learning Environment. Established in 1962 and published 11 times a year, each issue reaches the architectural community as well as professionals at the executive, purchasing and specifying levels at school districts nationwide. Security is uniquely positioned to help you grow brand recognition and generate quality sales leads through a results oriented multimedia program reaching the most powerful buyers in the enterprise security market – in print, online and in-person. As your media partner, Security is singularly focused on ensuring your marketing goals are achieved. Security & Border and CST & CBRNE provides relevant and accurate analysis on Border Security policy and technology, counter-terrorism, CBRNE event preparation and response including updates on programs and applications from the NGB, WMD CSTs, Homeland Response Force (HRF) units, Army and Air NG CBRN Emergency Response Force and ChemBio Incident Response Force for Recon and Decon. Security & Border/CST & CBRNE is firmly positioned to reach the global homeland security market with a focus on North America, providing our readers with the ability to reach civil support teams, CBRNE threats and Border and Security. 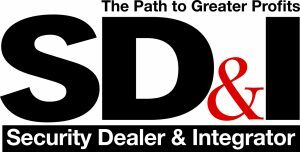 Security Dealer & Integrator (SD&I) magazine is The Path to Greater Profits for its audience of security professionals who own, manage or help maintain dealer, integrator, reseller and installation businesses. SD&I keeps you informed of the latest in security technology solutions, while always providing strategies to run a more effective and profitable security business. SDM is the #1 security channel media with 100% BPA Audited buy/install circulation. SDM provides management and technical professionals with a comprehensive overview of the security marketplace. Through its monthly print magazine, Buyers Guide and three titled supplements - smartHOME, Monitoring TODAY, and Solutions by Sector - as well as e-newsletters, the new sdmmag.com website, virtual trade shows and live events, SDM is consistently ranked best read and most credible magazine by ISC West attendees. SDM Magazine was first published in 1971. SecurityInfoWatch.com is a news, information, education and discussion site for those persons involved in security and safety. The website covers video surveillance, access control, biometrics, systems integration, fire detection and prevention, corporate security, building protection, security guard services, alarm systems and more. It is the official website for Security Technology Executive magazine and Security Dealer & Integrator magazine. Security Sales & Integration is the #1 preferred industry publication for electronic security products and services. SSI delivers necessary information to help installing security contractors learn how to use the latest technology and run their businesses better. SecuritySolutionsWatch.com features thought leadership interviews about solutions: Accenture,CSC, Gemalto, General Dynamics, HP Public Sector Cyber Security, SAIC. Major media exposure is guaranteed: Chicago Tribune, Los Angeles Times, The Wall Street Journal. What's YOUR solution? Metrics tell us that an advertorial about your solutions is more effective than any other type of messaging because the high engagement time results in high quality leads for new business at a surprisingly low-cost and we are the 1 Google site for Military Defense Solutions, Physical Security Solutionsand Secure ID Solutions. Security Technology Executive magazine brings leading executives the business arguments for technology and services purchases and implementation. Each issue, we provide perspective through end-user case studies, consultant-contributed features and columns, expert roundtables, and technology implementation articles written by consulting engineers. Security Today magazine and securitytoday.com are leading industry media brands that provide technology, education and solutions for security professionals. Our print, digital, custom media and research products integrate physical and IT security coverage and provide the smartest, most cost-effective solutions for reaching security decision makers. 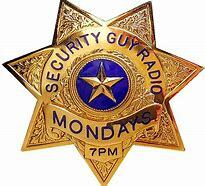 Dealer Strategies, Networking Security, and GovSec appear throughout the year in Security Today. Timely webinars inform industry professionals on the latest security topics. Security Today Academy offers online training courses on security technology. Security Today is part of the Infrastructure Solutions Group of 1105 Media. VENTAS DE SEGURIDAD has established itself as the most credible news organization in the Latin American market. Take advantage of this opportunity to get total access to the Latinamerican electronic Security industries. We have nearly 12,000 subscribers. No other regional publication comes close to offering the depth, credibility and reliability of this publication.Produced bi-monthly with offices in Miami, USA, Mexico, Colombia, Chile, Brasil and Europe, VENTAS DE SEGURIDAD offers unique market coverage for the Latin American security-installing, end-user institutions and IT security industries, with topics as CCTV, Access Control, Fire Detection, Alarms systems, Monitoring, Perimeter Security.